I don’t think anyone can deny that 2013 was the biggest year yet for Android. And I’m not talking about sales numbers, I’m talking about things like the quality of handsets that were delivered by our favorite companies. From the Galaxy S4 or Note 3 to the HTC One and G2 to the Moto X and Nexus 5, smartphone buyers had so many great choices. But if you look outside of the devices themselves, there were other stories to be told in 2013, ones that could alter the future of Android in great ways. For example, timely updates became a reality, Motorola made one heck of a return, Google Play Edition devices actually exist now, and the Chromecast is poised to take over your home media experience for just $35. In a collaborative effort from the DL crew, we touch on a number of these storylines through our choices of Android moment of the year. If you think back to January 2010 when the Nexus One launched with Android 2.1, only two months after the original DROID hit store shelves with Android 2.0, we have essentially been complaining about the update situation on Android for four years. It’s one of those pain points when you compare iOS to Android (as unfairly as that may be) or this new Android device to that month-old Android device. Updates have been frustrating. Often times, users are stuck waiting months for updates if not closer to a year, all while the next big thing comes along running the latest and greatest release of Android. People feel neglected, ignored, left behind, ripped off, and eventually, frustrated with the platform. But something changed in 2013. I can’t exactly pin point a lone reason, but we have seen updates come faster than ever before. Samsung released each of its new Galaxy phones running the newest versions of Android shortly after they were announced (4.2 on the Galaxy S4, 4.3 on the Note 3). HTC was ready with Android 4.3 within two months of Google unveiling it. Motorola somehow put Kit Kat on the Moto X within three weeks of its official launch (and Moto G to 4.4.2), while HTC was right there behind them for the One unlocked/developer editions. We have seen Samsung unload 4.3 updates over the last couple of months/weeks for almost all of its lineup from the last two years. Hell, we even gave Verizon major props earlier in the year for dishing out updates with a fury. In fact, this month alone (which we are only 2/3 through) Big Red has pushed out updates to over 10 different devices. Why is this all of a sudden happening? Well, I would argue for a couple of reasons. First, companies are releasing far fewer devices these days, plus they are releasing the same phones on all carriers. Manufacturers can then fix bugs much faster for the same devices while also having fewer phones to update. One could assume that with four years of experience in updating Android phones, that these companies (both OEMs and carriers) should be getting better at it. Some companies like Motorola are choosing to go with easily-updatable stock Android, while others like HTC have clearly hit a groove at updating their skins. And finally, Google continues to pull pieces out of stock Android and place them on Google Play to make Android a much more trimmed down mobile operating system. 2013 was the year of updates, if you ask me. I can’t wait to see this situation improve further in 2014. Before the launch of the Moto X, I thought I knew exactly what I wanted in a smartphone. It had to have a 1080p display, needed a Snapdragon 600 or 800 quad-core processor, a beastly camera sensor, and at least a 5″ display. I was very set on these things, and if a device came out that didn’t meet these prerequisites, then I wasn’t really paying attention. Motorola then launched the Moto X, and at first, I was turned off by it. It had a smaller body, featured only a 4.7″ 720p display, a Snapdragon S4 Pro dual-core processor, and a 10MP back-facing camera that was unusable before it received a software update to fix it. Needless to say, the only thing that the Moto X had going for it in my eyes was the customization aspect with MotoMaker and a few features like Active Display and Touchless Control. But then I got my hands on one. Talk about an experience that will change your perception of what a smartphone should be. On paper, the Moto X should be slow and buggy, but the Moto X is far from that. Motorola introduced the X8 Mobile Computing System, a feature that makes the Snapdragon S4 Pro dual-core chip act just as snappy as any quad-core silicon on the market, and with that, my fears of “jank” flew out the door. Not only was performance never an issue, but the phone felt absolutely great in hand. Motorola, with its past knack for creating great hardware, was back in the game. And thanks to the Moto X’s smaller display, the fact that it was only 720p wasn’t a downer at all, it actually helped the device produce excellent battery life and quicker multi-tasking. Motorola’s software enhancements with Touchless Control and Active Display are things I can’t live without these days, all in a package that was labeled “mid-range” by everyone in the industry, even myself. To sum it up, if the Moto X has taught me one important lesson about phones, it’s that one should never be judged purely on specifications. With the enhancements that companies can make, even a dual-core chip can pump out the same juice as a quad-core. To this day, I still claim that the Moto X is the best Android experience I have ever had. Change has to start somewhere right? The most interesting development for Android to come out of 2013 has to be the partnership between Google and the OEMs to release Google Play Editions (GPE) of flagship devices through the Play Store. We have talked at length about this on previous Droid Life Shows, but I really think that this initiative has a lot of upside going forward. At the moment we live in a carrier dominated mobile market. Prices and restrictions are set because the big carriers like Verizon and AT&T can call the shots. If you don’t do what they say then they will find someone else, so we have to follow suit. GPE devices are a step in the other direction. If people want a Samsung or HTC flagship without Verizon or AT&T’s software, they should be able to have access to it. GPEs give them that. Prices of GPE devices right now remain high as a deterrent from everyone just buying from Google instead of the carriers, but over the past few months we are starting to see new pricing models come into the fold. If that trend continues I guarantee you will see GPE prices come down as well. It isn’t quite viable yet; prices at the moment keep the feasibility limited to only a very small group of people. But, when the market does change, I think Google will have put itself in a very good spot with the GPE devices being available to customers. Some may say the release of Chromecast doesn’t qualify as an “Android moment of the year,” but I argue the tiny streaming stick will serve an incredibly important role for Android and Chrome far into the future. Its current functions serve it well, but it’s the promise devices like it hold – seamless functionality and significant living room penetration – that make it the potential catalyst for whole-home media solutions powered by lightweight Google operating systems. For years, Google has been trying with alacrity to make a dent in the home entertainment sphere, but its efforts have typically ended in failure. Google TV, the company’s attempt at a streaming box integrated with cable, fell utterly flat, as did the music-focused Nexus Q. Both were attempts to simplify the transfer of media from Android devices to audio receivers and big-screen displays, but neither was particularly successful for two reasons: unrealistic pricing, and OEM indifference. With Chromecast, Google addressed both issues in one fell swoop, and has reaped nothing but reward since: the cheap and simply HDMI stick has been the best-selling electronic on Amazon since its debut. Chromecast does a lot for $35. But what if it’s just the beginning? At the same time rumors regarding a “Nexus TV” emerged, details of another company project, EnergySense, leaked. I don’t expect the two will interface in the slightest, but do believe that news of both suggest Google has a continuing interest in the realm of home automation and media streaming. If Google’s latest attempts experiments succeed, it’s not unlikely we’ll see an amalgamation of the two down the road, perhaps something that embodies the company’s nearly forgotten Android@Home project. And you can bet that, whatever it is, it’ll run Android, Chrome OS, or a mix of both. 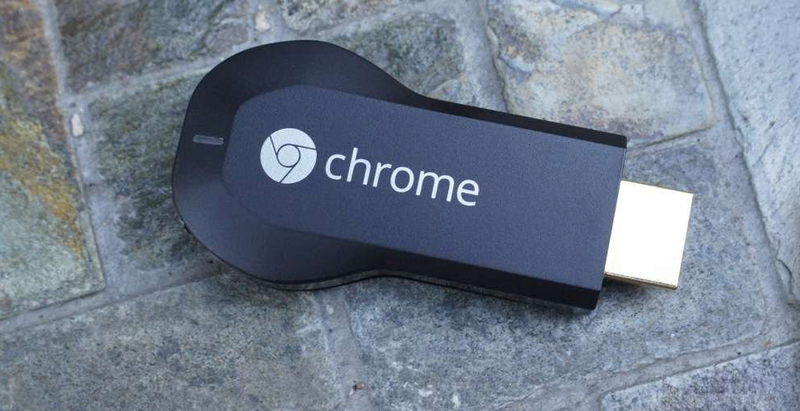 In short, Chromecast is exciting in its own right, but only the start. Should Google aggressively pursue a Chromecast-like control and pricing strategy with similar devices down the line, the company has a chance of supplanting competitors in a big way. 2014 will be interesting. 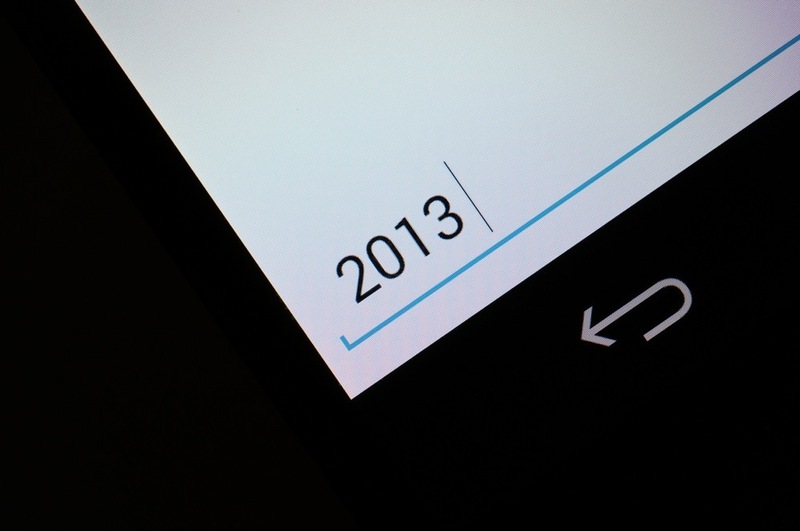 With those in mind, feel free to share your Android moments of the year.